As I sat shivering in the front of the truck, the heat barely cutting through my drenched clothing, snow began to mix with the rain. I was having a hard time feeling too bad about dropping from the race, but I knew the feelings would come. Stick it out and the misery lasts at most 34 hours. Quit, and the suffering continues for at least 365 days. Those 365 days were finally coming to an end. They began when I woke up in my car the next morning. It was still raining, but I could hear the cheers as someone crossed the finish line. Someone stuck it out. Someone who wasn’t me. I was reminded of the pain each time I had to explain. There wasn’t any flagging. Or maybe there was and I missed it. There’s no telling. Bottom line is that I ended up six miles off course. I got back on course and kept going. 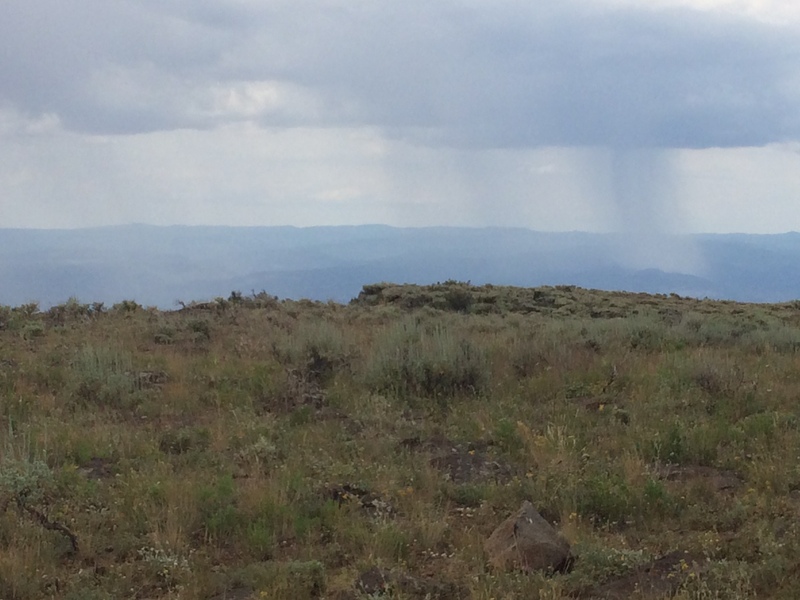 The rain started on the nine mile stretch between Carson Lake and Kannah Creek. I was following pink flagging. At some point, all I could find was yellow flagging. Soon, there was no flagging. If there was a trail, I couldn’t tell. It got dark. Lightning flashed all around. 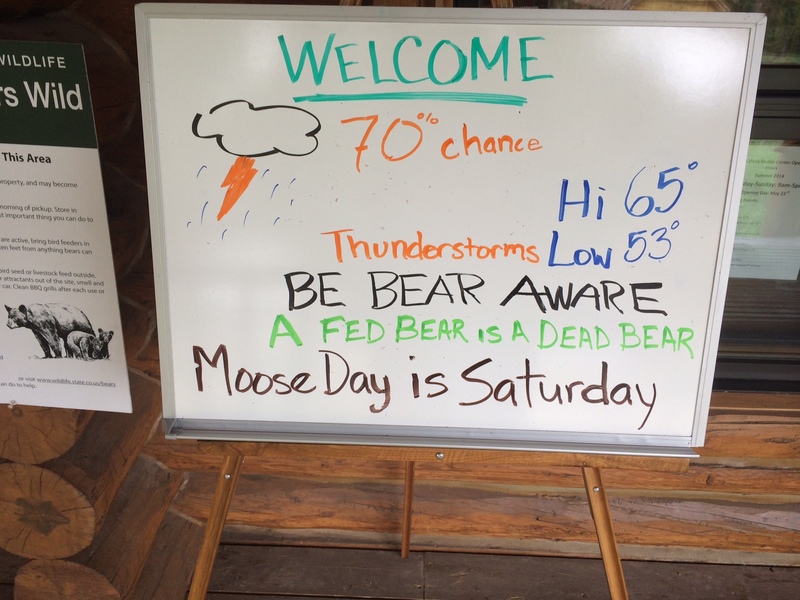 The only thing I wasn’t worried about was bears–I was pretty sure they at least were smart enough to go someplace warm and dry. In short, I was miserable. I’m pretty sure I shed a tear or two, although who could tell in that weather? I finally saw the lights of the aid station. They weren’t close, but they were still a beacon. It meant someone was there, waiting for me. Just knowing someone was there gave me a boost. I wasn’t alone. Lonely still in my struggle, but not alone. Ultras are weird from a mental standpoint. You cannot think about quitting. You just can’t. Otherwise, you won’t finish. Period. There’s no logic, no reason for continuing. But you do. You just do. But when I saw the lights of the aid station, something in my brain clicked. It was 12:30 at night. It was storming. I was mentally drained. I was barely halfway done. I wasn’t finishing. Whether I thought about it or not, it was not going to happen. Again. I drove home depressed and frustrated. I spent the next couple weeks, trying to explain without sounding like I was giving excuses. It’s just what happened, and yes, I would try again. Of course I would try again. This was failure number two in a row. Running is how I define myself. Ultra running is my passion. Yes, I would try again. I put everything else on hold. The year was devoted to running and hiking. Over two thousand miles of running and hiking. Over 200,000 feet of elevation gain. I got up at 4 during the week and 3 on the weekends. Snow, rain, heat, floods. I was out. My food bill was matched only by the money I spent on running shoes. I wore black when my favorite shoes were discontinued. I bought cook books for athletes. I learned to love rice and potatoes. I signed up for every ultra race I could fit in. One each in January, February and March. Two each in April, May, and June. 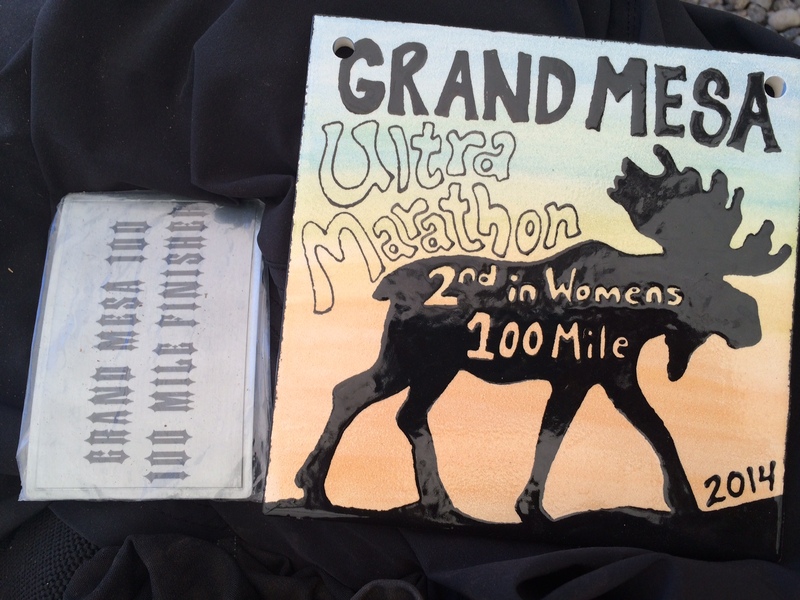 Marathons, 50 milers, back-to-back races. A race was no excuse for a rest day–just another reason to push harder. One final one in early July–a twelve hour night run. 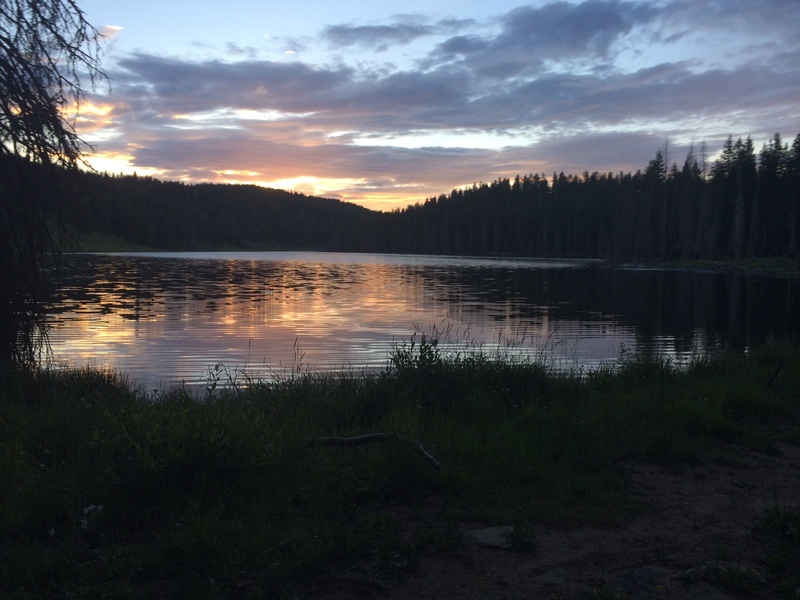 At one in the morning, I pictured myself back on the Mesa, alone, cold, tired, wet. I removed all negativity from the image and tried to see it for what it was. Just a run. Nothing more. Nothing less. Not a reason to quit. Just another challenge. On Day 366,I jumped at the sound of an actual gun going off, gave my friend Loree a quick hug, repeated my mantra, and took off. I had no idea how this would end. There are so many things that can go wrong, and pretty much only one way for everything to go right. The first aid station and I was already behind schedule. I had to put it behind me. It was only eleven miles. I had 89 to go. I had to run my race, run to the finish, not from the start. 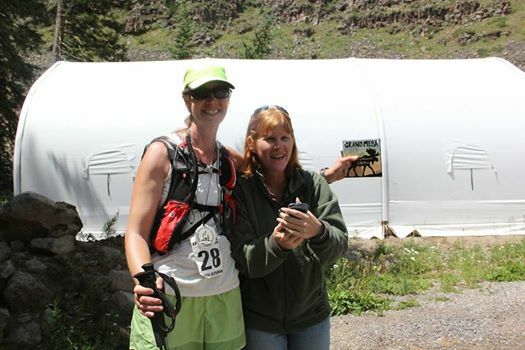 I knew as soon as I entered the aid station that Loree was the perfect crew. “28 is GREAT!” she yelled, dancing around. We had joked the night before that pretty much any rhyme would work except “28 is late”. I put my imaginary deadlines out of my mind, gave her a big smile, ate and drank and kept on my way. The next aid station came blissfully quick. I refilled my water and ate some more. Some say that ultras are actually an eating contest, and there’s some truth in that. Even if you eat for three quarters of the distance, you’re still running a marathon on empty. It’s critical to eat. I had a LOT of food. Loree made sure I had plenty with and in me. 25 runners started off that morning. By now, as the heat made its entrance, they were scattered across the course. A couple runners had passed me as I took advantage of a real bathroom. This was the first challenge of the ultra: the excitement of the start was over and the reality of the task was at hand. The course was flat for the next twenty-eight miles. A marathon. I knew the opportunities to run were limited–I would be lucky to run 40 miles–so I took advantage of it. I turned up the music and tuned out reality, as I had done a hundred times before. Run just run. The next aid station afforded the opportunity to drop from the 100 to the 50 miler or 60k. Loree told me a couple women had taken advantage of that, and a few men had dropped completely. It gave me confidence to know I was still feeling strong, especially since the crux of the race was coming up: Kannah Creek. 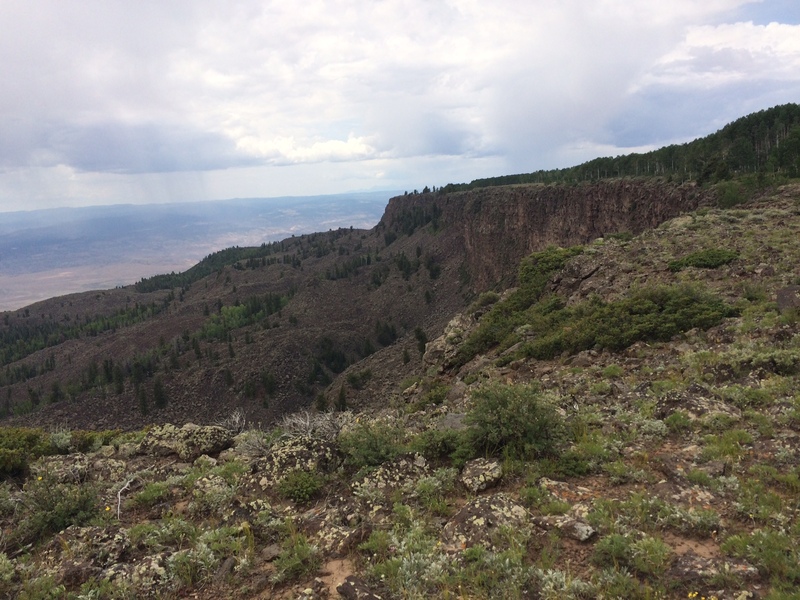 After dropping 4000 feet off the Mesa, runners got the joy of climbing back up. Kannah is where most runners quit. Kannah is where I quit. I had gotten into a pattern with a couple runners. I don’t spend a lot of time at aid stations, so I would pass runners at the stations, and they would catch up a couple miles later. We’d chat a little, say something encouraging, then be gone again. Loree knew them by their crew. At each aid station, they would meet and catch up on the runners’ status. 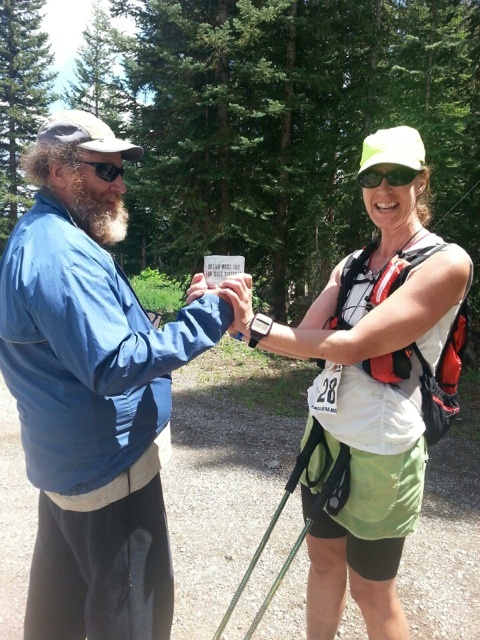 Hearing her relate it reminded me of the positive energy I had gotten from the Badger Mountain ultra. I spent a little more time in Kannah, knowing it would be dark before I saw another aid station. And also just to celebrate that I was beating myself from last year. It was 7:30pm–a full five hours before I had reached there the year prior. I got my jacket and headlamp ready. It was much warmer at the lower altitude, so I packed extra water. I got out my trekking poles. I found an inspiring song on my MP3 player and began the trek back up. What had seemed like plenty of flagging during the day now seemed woefully inadequate. There was one main trail but every so often, there seemed to be a small trail that wandered off it, and doubts would set in. I had carefully studied the maps and I had the route loaded in my GPS. I knew the general direction. I had to have confidence in my navigation skills. At one point, four other runners displayed confidence in my skills as they let me pass and followed me up the trail in the moonless night. The route description had said 4.5 miles, but I knew from the map it was longer. I could see a bright light about where I thought I would reach the mesa again. It became my beacon, much like the lights from Kannah Creek the year before. No longer could I focus on the distance. I had run over 50 miles, and had the same to go. I couldn’t think about it. But I could think about the light shining above, and the people who would be there. The warmth I imagined was more spiritual than physical. A voice shouted out. I jumped at the sound. I was completely lost in my own thoughts and I didn’t realize I was so close. But a few more minutes I was back on top. A kindly voice said, “Hey you’re dong great! You didn’t puke on my chair.” I’m pretty sure that was a new low in highs. This was an “unofficial” aid station–three people and a camper–to give people basic assistance before the “real” aid station. A Pepsi and a handful of M&Ms and I was off. After essentially 15 miles of hiking, it felt good to be on a flat road. I ran most of the three miles to the aid station. Now I was getting suspicious of how good I was feeling. I didn’t want to question it, but I had to do a mental inventory to make sure it wasn’t delirium. It didn’t seem to be, so I thanked my training and my still cheering friend, and I kept going. Now the miles began to drag. Another couple miles and I couldn’t force my legs to run. It was one in the morning and I could see nothing outside my headlight. I was on a road for the six or seven, maybe eight miles to the next aid station. It was a critical aid station. My friend, Tim, was waiting there. 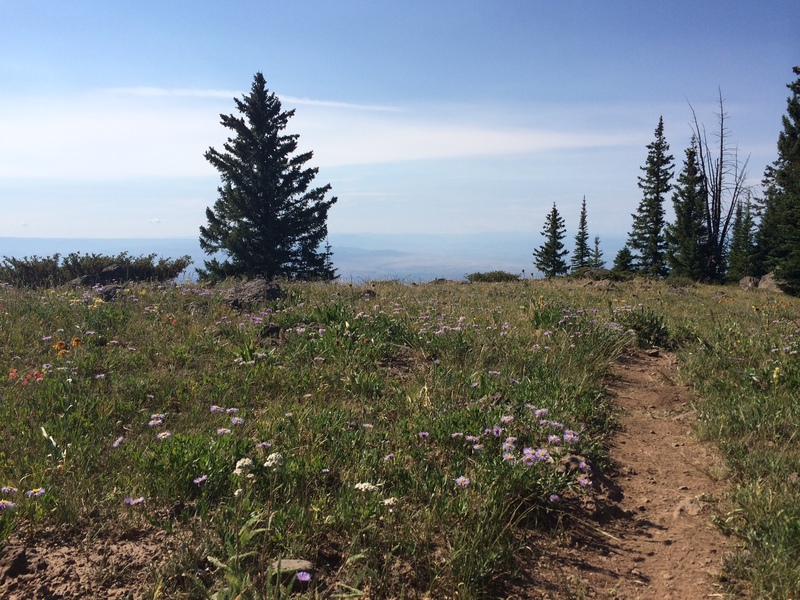 He had been bullied into pacing me by another friend, who was miles ahead on the same trail. Naturally good-natured, he had taken it as Loree had: a fun new opportunity. I had sent them both as much information as I could, so they would be forewarned just how not-fun it would be. But here they were. And just how fortuitous it was. There had been bear sightings the weeks and days leading up to race. Being a seasoned hiker, I knew I had a better chance of dying from hitting a deer with my car than from a bear attack, so I took the information in stride. I knew I wouldn’t be anywhere near first place, so plenty of people to scare off the wildlife. And Tim was very talkative, which made him the perfect pacer and a good bear deterrent. Rustling next to the trail. A branch snapped. In unison, Tim and I swung our headlamps in the direction of the noise. We could see brown fur among the branches. Oh, fuuuuuuudggggggeeeee…. It jumped out onto trail. Our instinct towards flight was suddenly arrested by the realization that it wasn’t a bear. That it was a–what WAS it?? It seemed huge, longer than the length of the trail, a couple feet wide, and maybe a foot high. Furry. But. What. Was. It. It looked at us and suddenly we didn’t care what it was. 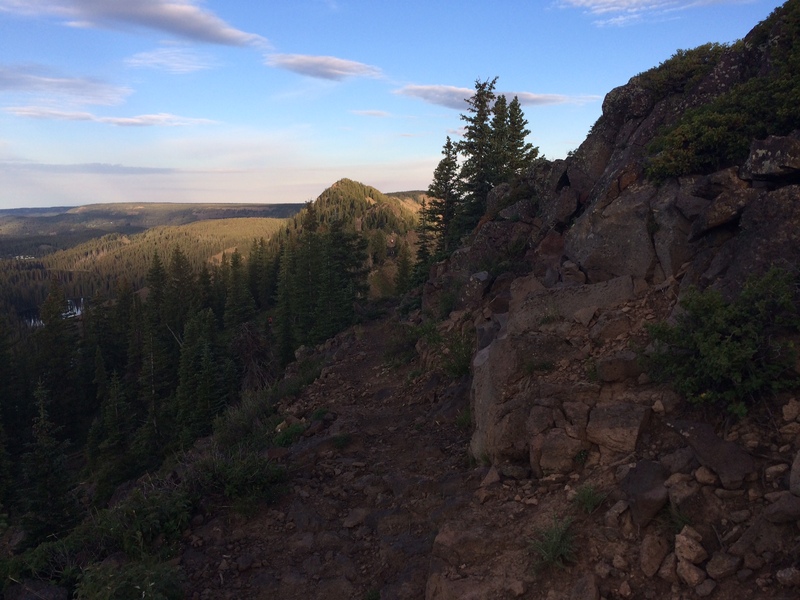 We turned and scrambled up the trail, my legs screaming in protest. Our headlamps swung widely from behind to in front, not wanting to take our eyes off the creature, but needing to see where we were going. Finally, it waddled off into the water. A beaver. We’d just had the bejeebers scared out of us by a beaver. Not a little relieved, and feeling not a little stupid, we continued on our way. Happily, that was the big excitement, and the miles resumed to tick predictably by. There was the occasional terrain surprise, like the steep hill right after another aid station–Kill Phil Hill they called it, referring to the runners’ feelings towards the race director. Tim and I later told him we had come up with a list of suggestions for making the whole course even more miserable–he simply laughed and said he didn’t need any help in that regard. My good humor and feelings began to fade in the dark hours before dawn. Tim and Loree’s mood reflected mine, the lack of sleep and excitement getting the best of us. 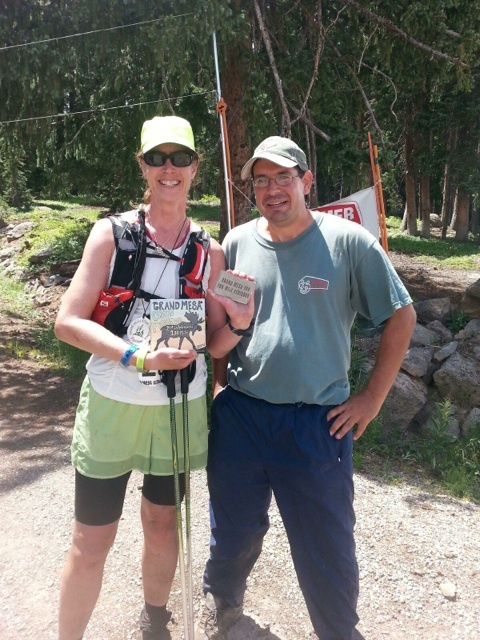 Loree said little at the next aid station, but Tim took up the slack. I am hugely independent and it’s hard for me to depend on others, but in those hours, I needed my friends. I needed the smiles and the encouragement and the distractions. I had been moving for almost 24 hours and I still had twenty miles to go. Each mile was progressively slower, more frustrating. I just wanted to be done, but the finish line seemed to get farther and farther away with each step. Their motivation kept me going. Tim began to quiet down just as Loree found her groove again. At the third from last aid station, I heard the familiar “28 is GREAT!” I grinned. I was going to finish this race. I was really going to do it. I just had to do it. Step after step. Constant forward motion. 20 became 15 became 14 became 13 became… My head was down and my music was back on. A minor setback as we lost the trail, but we could see the aid station. At least it wasn’t the 15 miles two runners had added after getting lost. Or even the six I had tacked on the year before. Ten became six became five became four and it was the last aid station. Three miles to go. I would finish. That knowledge still meant nothing to my body or mind. It was still three miles, on top of 97 miles. Each step on tired, sore legs and feet. I couldn’t focus on the music. I couldn’t even focus on the miles I’d already done. Each step consumed my entire attention. Step after slow painful tortured step. Two became one became one half became one quarter. There was the finish line. There was the victory. There was my peace after 367 days of pain. Thanks. They are tough issues to deal with it, but worth it to get through them.